Please read this email from top to bottom. I know you’re busy but it will save you time and let you know what I am trying to achieve for you. I have developed over a Billion dollars worth of commercial office/hotel, residential and subdivided real estate so we share a common passion for this vast industry. I am the first and only developer in the world to write instruction books on “How To Develop” and in the last 5 years I have taught developers in every state of the US and 105 other countries. 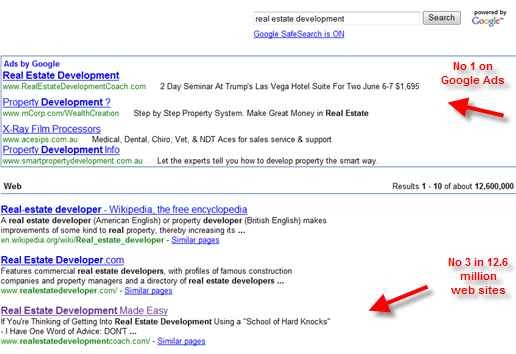 I have also earned my stripes on the web with page #1 No 3 on Google which ranks me as an authority site. There is a great deal I have to share with those who are serious about development and I do not care what part you specialize in, you know how vital it is to have someone experienced to talk too, to learn from or exchange ideas with each day. So after my personal real estate development success, I dedicated myself over six years ago to teaching the processes, procedures and techniques ‘real developers use’ every day of their lives. When I say on my web site that I want to help you achieve your goals, that is not some 'feel good' throwaway line on my part. I mean exactly what I say and have been proving that now for five years. As developers, we always want to distinguish our buildings from other competitor and so it is with me and that includes my next Workshop in Las Vegas. As Donald says, Colm, it’s my Ultimate Address on the Strip. Two Days - King Suite Accommodation - for Two – included in Seminar Cost – you come for the workshop; your partner stays in Trumps Kind Sized Luxury for two days. Two Days – There Are No Other Speakers – Just Me Teaching Development – No Theory. Last Day - Special Tour of Trump International Hotel so you can examine what makes Donald Trump’s latest residential hotel tick. Last Day - We will compile a critical report on Trump International Hotel & Tower that I will give to Donald Trump In New York after my Workshop. All That - $1,695.00 if paid by April 10, 2008. 1. When I say that this workshop is for 40 people, that’s what I mean. If a friend or partner comes for a holiday while you do the workshop, that’s OK; the King Suites are for Two; More than Two is an extra $50 each per day. Just let me know – that is names in full and please, NOT at the last minute. 2. The workshop is intensive and will start at 8.30am each day and finish at 6.00pm. I have conducted this workshop several times and it takes all that time to cover the material and answer your questions on development issues. 3. After 6.00pm you are free to do as you wish until I get you back at 8.30am the next day. That’s why evening dinner is not included. 4. For you to be rested & fresh for an 8.30am start on Friday 6th June your first night’s FREE accommodation is on Thursday 5th June and the second is 6th June. I only say that because usually you must vacate a room by 11.00am and as that will be on the Saturday, you may like to book an extra night at your cost so you can vacate on the Sunday morning and take in the Hotel Inspection tour and travel home. I have negotiated this extra Saturday night is at a special discounted seminar cost, and to get it you must book through me. Do not contact the hotel directly!! 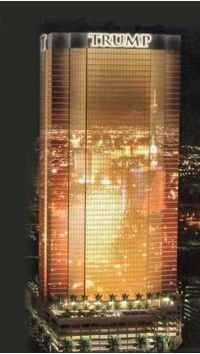 At 620 feet and 64 floors it is not only the latest and tallest residential tower in Las Vegas, it is the ultimate in Luxury as only Trump can provide. There is no Casino in the building; it’s purely residential, but there may be one or two nearby – only joking!! Sitting on 3.46 acres near the Fashion Show Mall we will be in the heart of the excitement that is Las Vegas. As only Donald Trump said, it is the Ultimate Address on the Strip. 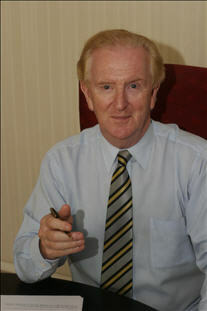 * Two Days Teaching, 8.30am to 6.00pm, with Colm Dillon covering Residential, Commercial and Land Subdivision Development. * Two Days Free King Size Accommodation For Two. You do the workshop and your wife/partner enjoys the luxury of Trump's Latest International Hotel in Las Vegas. * Two Days Free Breakfast & Lunch for workshop attendees. * Full Set of hard copy workshop notes of two day presentation covering Residential, Commercial and Land Subdivision Development. * A guided tour of Trump International Hotel. * All Your Questions answered by a Billion dollar developer who has done it for over 30 years. * There are No Other Speakers because I've got more than enough to pack your brain. It's a workshop where we work together and go through my procedures and processes with you and you get your questions answered. * You'll learn my methods, patterns, processes each step of the way. * You'll learn the A to Z of the entire development lifecycle. * You'll learn how to assess the development capacity of land; how to gain legal control of land; how to negotiate for success. * You'll learn the correct way to market and sell your completed development. * You'll network with developers like you for your mutual benefit and personal growth. Most developers I know are so individual that they wouldn't join a "queue" so this is where they meet. Were Invited To A Pure Development Seminar / Workshop?